The Play is wonderful. Simply wonderful. 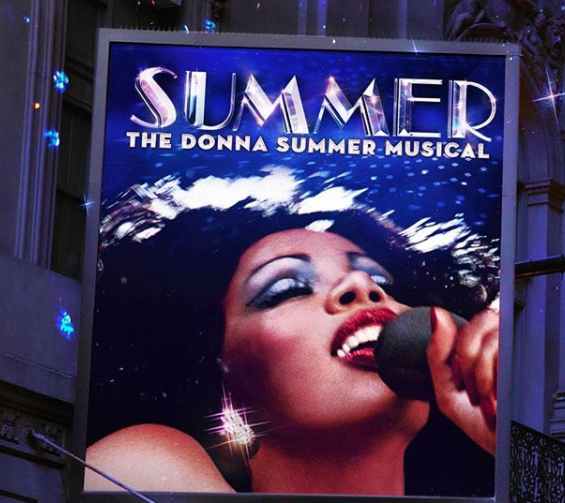 As a young girl who admired Donna, and saw her as an idol to look up to, I came in to the theater with a little apprehension. I wondered whether this play would actually live up to more than a karaoke night out. Donna’s story comes alive on stage and tells a moral tale that the Christian audience can feel comfortable viewing. The narrative is filled with exciting twists and turns. When you learn the back stories to some of the music you are warmed over and amused. The three women who embody Donna are great on stage. You are given ‘Diva Donna’ who is played by LaChanze with womanly wisdom. You are given ‘Disco Donna’ who is played by Ariana Debose with womanly determination. You are given ‘Duckling Donna’ who is played by Storm Lever with young wonder. I am telling you these women bring Donna to life! All three of them have soaring voices. There is a breath taking show stopper song delivered by LaChanze that will leave the hairs on your arms standing up. For me though, Ariana Debose just rules the show. She vocally and physically delivers the story on the stage with her dance. You can’t take your eyes off of her while she is there. Every step, gesture and position tells you so much. She becomes Donna and tells the story with her entire being. In one scene, on stage, she has the props of a chair and jacket and with every roll, flick and spin details emotions only women can read and understand. I have one thing to say: It’s SIMPLY AMAZING! I would love to sit and just walk through every dance step that Ariana delivers on that stage. Sometimes the steps were so subtle, you were awestruck. The contract negotiations and how crazy and chaotic lawyers, managers and staff could be, could not have been delivered any better. There is a moment where Ariana Spins in her chair and she nearly whirls out of the seat and you aptly understand that it is an insane time for Donna. This show is a must see for women of all ages, because it takes you through the journey of childhood to empty nest. It aptly and honestly depicts a woman’s life, love and loss with honesty and respect.